By setting minimum standards for design and construction, building codes protect public safety while establishing uniformity in construction methods and materials. Regulations governing building have existed in the United States since its inception, but they gained new importance with the growth of cities—and the insurance industry—in the early 20th century. Since the 1990s, developing and revising building codes has been the work of the International Code Council, a nonprofit organization whose membership of 50,000 includes architects, engineers, builders, elected officials, manufacturers, and others who are connected to the construction industry. Codes developed by the ICC—dubbed “I-Codes”—are model codes, meaning they have no legal standing until they are adopted as law by a governing body such as a state legislature, county board, or city council. Today, the ICC promulgates 15 different model codes, including the International Building Code (IBC), the International Residential Code (IRC), and the International Energy Conservation Code (IECC). The codes are interrelated, cite common standards, and are updated every three years following a specific process. 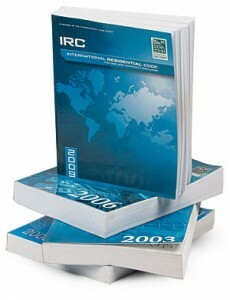 Each cycle, the ICC receives about 2000 suggested code changes. Roughly 900 will end up as part of the new code. Around June, the ICC accepts applications from those who wish to serve on its 19 code committees. The applications are reviewed by ICC’s Codes and Standards Council—made up of longtime participants in the code process— whose recommended appointments are sent to (and usually approved by) the ICC board of directors. Committee members can include consumers, builders, and academics as well as representatives of testing labs, material associations, and manufacturers. At least one-third of each committee, though, must consist of code officials or regulators. The deadline for submitting code changes is just after the first of the year. Any interested individual or group may propose a code change; however, all submissions must follow a specific format spelled out by the ICC. Submissions must include the reason for the change, supporting technical information, and a statement of its cost impact. Code-change proposals are reviewed by ICC staff for consistency and compliance with submission guides. Proposed code changes are posted at ICCsafe.org and distributed on CDs to those who request them. In late April or early May, code-change submissions are debated in a public hearing presided over by the committee responsible for that code. Following an open debate on each proposed change, committee members vote either to adopt it, modify it, or reject it. Although it rarely occurs, ICC members who disagree with the committee’s action can challenge the decision with a two-thirds vote. Called an “assembly action,” this vote is considered along with the committee’s ruling at the final hearing on the change, but the committee’s decision takes precedence. Development hearings can take up to 10 days. About 30 days after the hearing, a Report of Public Hearing is posted at ICCsafe.org that explains the action taken on each proposal. The report is also available on CD. A deadline for public comment on the action is given, usually about 60 days from the posting of the hearing results. The public has approximately 60 days from the posting of the hearing results to challenge a committee’s decision. Comments are submitted via a public comment form from the ICC website and reviewed by ICC staff. Approximately 45 days before a final hearing on the proposed code changes, public comments are posted and distributed by CD along with the original code-change proposals and the results of the public hearings on those proposals. Whether a proposed change becomes code is determined at the final-action hearing. Code officials in attendance vote first to accept the committee decision on all changes that received no public comment or successful assembly action at the initial hearing. After that, individual votes are taken on each code change that received public comment or successful assembly action. Proponents are allowed a two-minute presentation; opponents are afforded an additional two minutes, followed by a one-minute rebuttal on each side and a vote by regulators in attendance for a final determination on the proposed change. Final-action hearings are completed in four to five days and coincide with the ICC’s annual conference, which is held in the fall. Code-change decisions can be appealed following final action, but appeals can address only procedural matters, not the substance of the code change. There are generally one or two appeals a year, but they are rarely successful. The updated code is published in both print and electronic formats. Following publication, the ICC’s governmental relations staff goes into action, facilitating the adoption of the codes by local jurisdictions. Codes are not law until they are adopted by state or local governments. Lawmakers can adopt an entire code or portions of it, or they can make alterations to it. I-Codes are in force at some level in all 50 states and the District of Columbia. Section 210.12(B) Branch Circuit Extensions or Modifications Dwelling Units will be deleted, because it is regulated by the Rehabilitation Subcode. The current amendment to NEC 334.10(1), which permits the use of Type NM cable in accessory buildings or structures of dwellings will be deleted, because the text is now included in the 2011 NEC. The amendment to 300.4(A)(1) will be retained. 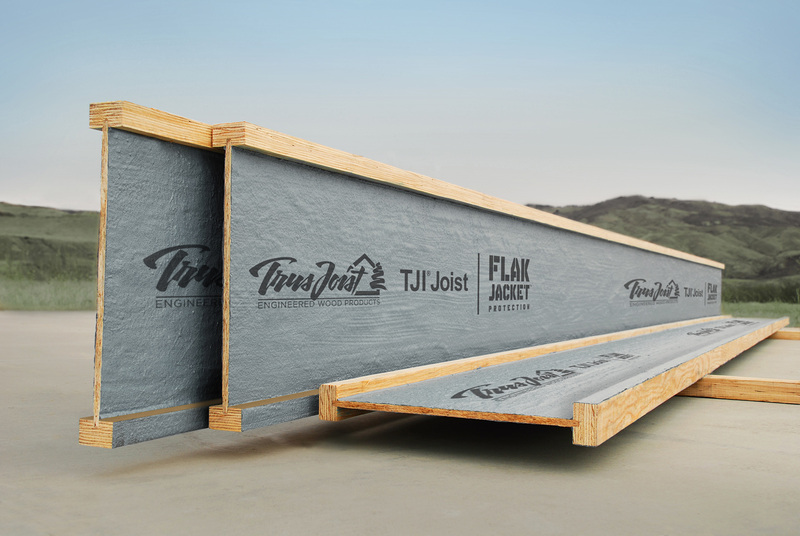 This amendment references the building subcode for the placement of cable- or raceway-type wiring methods installed through bored holes in joists, rafters, or other wood members. The amendment to 334.12(A)(2) will be retained. This amendment deletes this item and permits exposed Type NM cable in dropped or suspended ceilings in other than one- and two-family and multifamily dwellings. The amendments to the support requirements in 342.30(C) Intermediate Metal Conduit, 344.30. (C) Rigid Metal Conduit, 352.30(C) Rigid Polyvinyl Chloride Conduit, 355.30(C) Metallic Tubing Reinforced Thermosetting Resin Conduit and 358.30(C) Electrical Metallic Tubing, will be deleted, because the 2011 deleted these requirements. Section 406.4(D)(4), which requires arc-fault circuit-interrupter (AFCI) receptacles to be installed when receptacles are being replaced in a dwelling unit will be deleted, because additions, alterations and modifications are regulated by the Rehabilitation Subcode. All current amendments to Chapter 5 Special Occupancies will be retained. The amendment to 645.17, Power Distribution Units will be deleted, because the text is contained in the 2011NEC. Section 680.42(B) will be deleted and replaced with the text from Tentative Interim Amendment (TIA) issued by the NFPA. This section addresses the bonding requirements for spas and hot tubs. The amendments will not require equipotential bonding of perimeter surfaces for listed self-contained spas or hot tubs that meet certain conditions. The current amendment to 800.156 will be retained. This amendment deletes the requirement for a communications outlet in dwelling units. At the January 18, 2012 meeting of the Pennsylvania Uniform Construction Code Review and Advisory Council (RAC) the Council voted to recommend to the Pennsylvania Legislature that a six year code adoption cycle be instituted under the Uniform Construction Code. This recommendation will require an amendment to Act 45 of 1999 (as amended), which establishes a uniform construction code imposing powers and duties on municipalities and the Department of Labor and Industry providing for enforcement, imposing penalties and making repeals. The Act also provides for the duties of RAC, which include the review of the latest triennial code revisions issued by the International Code Council. If these recommendations are accepted the 2009 I-Codes that are currently in effect, will remain in effect until at least 2015 when RAC must review changes in the 2015 I-Codes. The 2008 National Electrical Code (NEC) is adopted by reference in the 2009 Building Code and for one- and two-family dwellings the 2009 Residential Code is adopted with Electrical Provisions that are based on the 2008 NEC. Contractors and building owners of new construction, renovationing or retrofitting existing buildings know they must abide by building codes that ensure safety and protect human health. Soon, they will also have to a dhere to codes designed to protect the environment, conserve energy, and preserve natural resources. 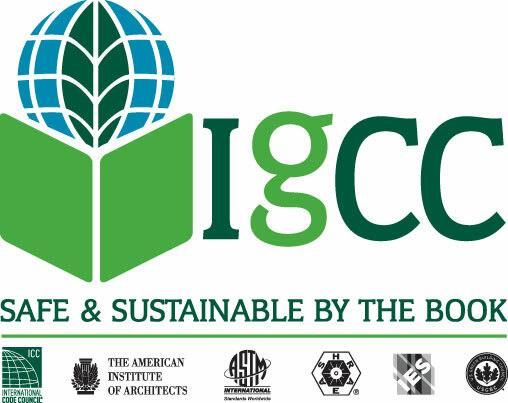 The International Code Council (ICC) recently launched the International Green Construction Code (IGCC) initiative, subtitled “Safe and Sustainable: By the Book.” The IGCC aims to significantly reduce energy usage and greenhouse gases through mandatory green building design and performance in new and existing buildings. It is also intended to preserve natural and material resources in site development and land use; improve indoor air quality; and support the use of energy-efficient appliances, renewable energy systems, and water resource conservation measures. Unlike other building codes, which are intended to protect the public’s health, safety, and welfare; this complementary green code is intended to help reduce a building’s negative effect on the environment by setting minimum mandatory requirements. For example, in the code’s current version, mandatory requirements include energy performance that is 30-percent better than the 2006 International Energy Construction Code and fixture and flow fitting rates that are a 20-percent improvement over the 2006 International Plumbing Code. Both the IGCC and LEED rating program produce the same results and share similar categories, such as site, water, energy, materials, and indoor air quality. However, unlike LEED, which is voluntary and determined by the owner’s level of commitment, the IGCC is intended to be part of the building code enforced by those local jurisdictions that adopt it, integrating with existing international building codes to create a new regulatory baseline for green construction. A key feature is a section devoted to “jurisdictional electives” that will allow customization of the code – beyond its baseline provisions – to address local priorities and conditions. For instance, if local area has water problems, then a jurisdiction may elect for more strict water conservation measures. Project electives within the IGCC will be determined by the jurisdiction and range from 0 to 14, depending on the level of sustainability the jurisdiction is trying to achieve. The IGCC applies to all occupancies, but does distinguish that residential occupancies shall comply with ICC 700 National Green Building Standard and that equipment and systems primarily used for industrial or manufacturing processes shall not comply with the code. Other than those two exceptions, the IGCC applies to the design, construction, addition, alteration, change of occupancy, movement, enlargement, replacement, and repair of buildings and structures and the site on which the building is located. Like all other I-codes, the code official has the authority to render the interpretation of the code and to adopt any policies and provisions in order to clarify the code. The House of Representatives of the Pennsylvania General Assembley voted YES on HB 377 to remove the fire sprinkler mandate in one- and two-family homes by a overwhelming margin of 154-39. Both Republican and Democrats joined together to remove the requirement that all new residential construction be equipped with a fire supression system. The action by the house, however, only removes the mandate in single family detached homes and duplexes and is NOT law as yet. 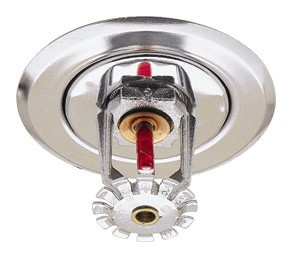 The requirement to install sprinklers in new residential construction of three units or more will remain in effect if or when HB377 becomes law. THE ACTION BY THE HOUSE DOES NOT MEAN THE LAW HAS BEEN REPEALED AS YET, BUT IS A CRITICAL FIRST STEP TOWARD OUR OVERALL GOAL OF REMOVING THE SPRINKLER MANDATE. Therefore, permits and new home construction projects applied for after January 1, 2011 must still plan to install the sprinklers until the the repeal becomes law. HB377 now goes to the state senate for their consideration. A similar bill passed the senate last session and prospects are good for action by the senate in the next month or two. We will be in touch shortly concerning the need and timing to reach out to your members of the Senate. All but a few Western Pennsylvania legislators voted in favor of the repeal (Representative Frank Dermody and Jake Wheatly opposed). We especially want to thank House Majority Leader, Mike Turzai of Allegheny County-north hills, for his leadership in this effort. Special thanks also goes out to Democratic Caucus Chairman, Representative Dan Frankel, and others in making sure this issue did not become a partisan fight of political parties. If, during these past months, you had reached out to your representatives and encouraged them to support our cause, it is very important that you give them a call now and thank them for their support. Letting them know we are watching and appreciate their vote is an important part of the legislative and grass-roots process, especially since we may need them to vote one more time in the likelyhood that the senate amends the bill that requires the house to agree to the changes. Attached is the contact list of our local members of the state house please give them a call and say you appreciate their support for House Bill 377.